Mediterranean Style presents a world synonymous with relaxed informal living, multiple fragrances, tastes, and strong vibrant colors inspired by nature. The use of natural materials, rough stone, terra cotta tiles, whitewashed stucco, dark rustic beams, are indicative the Mediterranean region. Lavenders, purples and some yellows are found in the fields, greens range from deep forest shades to olive greens to light mint tones. The turquoise blue of the sea, earth tones of soil and rock, overflowing flowering vines and shrubs along with sunlit days all represent the colors found in Mediterranean region. Most design elements draw from the natural landscape. Materials are used creatively with both patterns and free flow casual design, flavored by “Old World” life in Tuscany, the south of France, and Spain. Rustic pine or teak wood benches are commonly used as are wrought iron details. Water features are also typical of this design style. Courtyards with fountains creating a restful sense of entry are common. 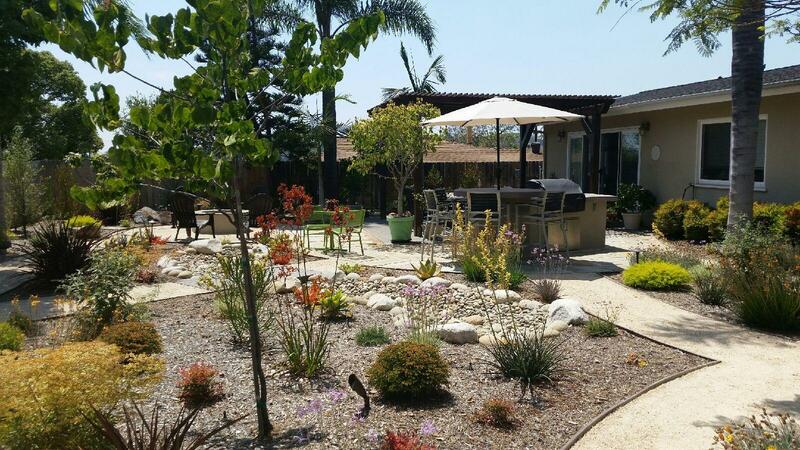 Outdoor living spaces with this theme abound with ideal year round climates. All design elements are meant to be an extension of the home’s architecture, and often repeated into the garden such as arched gates and openings, textured stucco walls, and at times defined with geometry of patterns and shapes. 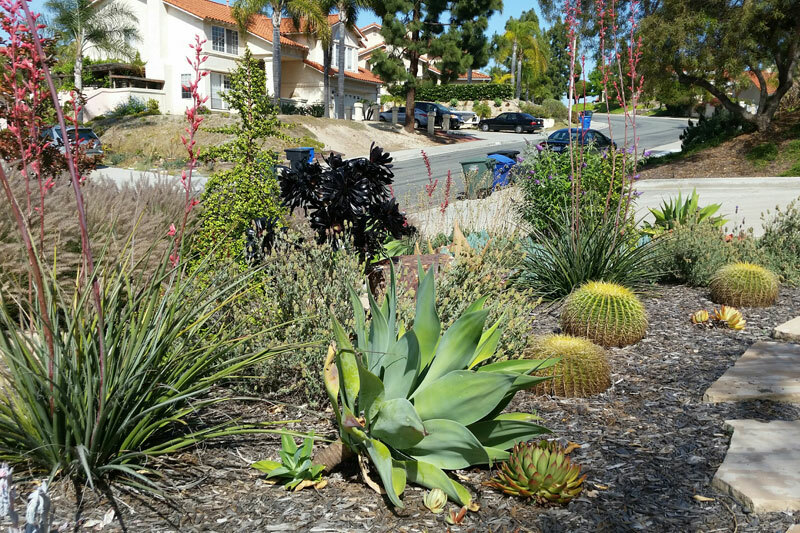 Planting selections for our area are often drought tolerant adapting to winter rains and hot, dry summers. These plants are found in the southwestern U.S or in the other varied “Mediterranean” climates of the globe such as South Africa and Australia. Gardens including Citrus, herbs, roses, lavender, rosemary, palms, bougainvillea and the like are indicative of this style. The Mediterranean Style can range from carefree to sophisticated, and is most noted for the true definition of outdoor spaces relating to the architectural style of the structure and a strong appreciation for nature, especially the natural elements found in Southern Europe. 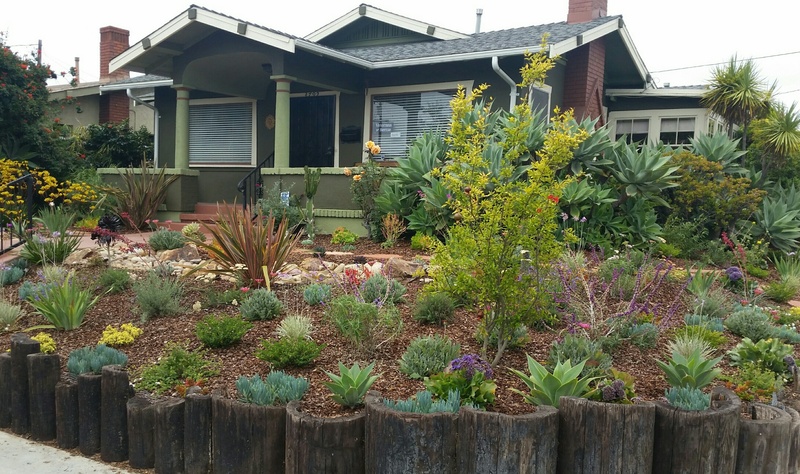 This style can be incorporate into any garden in any climate zone in and around San Diego. 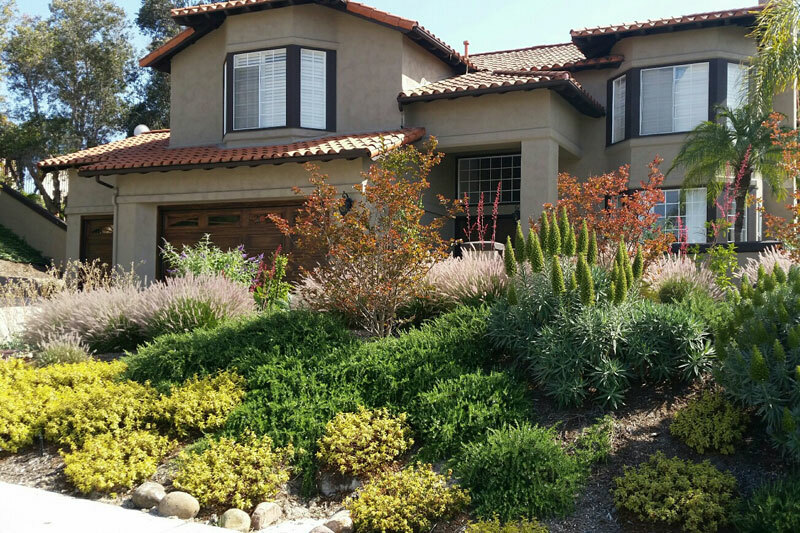 Our Mediterranean landscape designs in San Diego are award-winning. Call us today for a quote. Mediterranean Style presents a world synonymous with relaxed informal living, multiple fragrances, tastes, and strong vibrant colors inspired by nature.